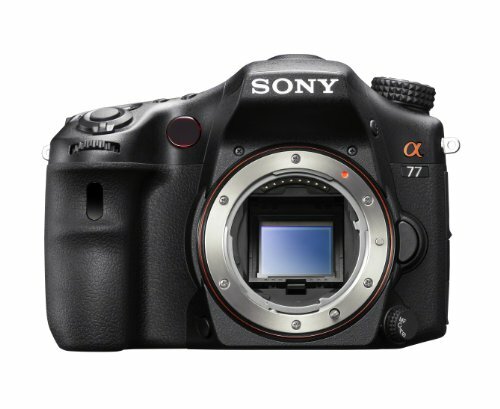 Sony (alpha) SLT-A77V Digital SLR. World’s fastest shooting DSLR. Get action photos, HD Movies and Live View shots that other cameras miss, thanks to Sony’s exclusive Translucent Mirror Technology. Enjoy 24.3 megapixel resolution – with the world’s fastest shooting – up to 12 frames per second – and the world’s first OLED electronic viewfinder.